"A snowflake is either a single ice crystal or an aggregation of ice crystals which falls through the Earth's atmosphere." I am reminded of something that happened to my cousin when he was a teenager. His best friend's brother was driving them to a hockey practice or some such thing. The walls of snow made it very difficult to see whether it was safe to turn. The boys were asked to check to the right while big brother checked to the left. "Can you see any cars?" "No," says my cousin. The car starts moving. "But there's a bus coming." At the corner where I work as a crossing guard, I exchange greetings and comments on the weather with the parents and some of the kids. Ethnic diversity is a feature of our neighbourhood. Complaining about the weather is something we have in common, even if, in some cases, we have to add gestures to get the message across the language barrier. A couple of days ago I got into a brief conversation with a lovely woman I see every weekday morning and afternoon. Her English is excellent but accented. To make things more challenging, she is soft-spoken and I am partially deaf. As a result, it took me a moment or so to understand that she wasn't complaining about the snow but pointing out two perfectly formed and unique snowflakes on her coat sleeve. "I cut out paper snowflakes with my children, but I never believed that real snowflakes were as beautiful." Her sense of wonder was catching. I could even look at the mountains of snow with appreciation. But I still don't want another dump.  Want to cut a virtual paper snowflake? Go to Make a Flake!